Phillips, M. et al. 2007, " The Peculiar SN 2005hk: Do Some Type Ia Supernovae Explode as Deflagrations?," PASP 119 360-387. Frieman, J. et al. 2008, " The Sloan Digital Sky Survey-II Supernova Survey: Technical Summary," AJ 135, 338-347. Sako, M. et al. 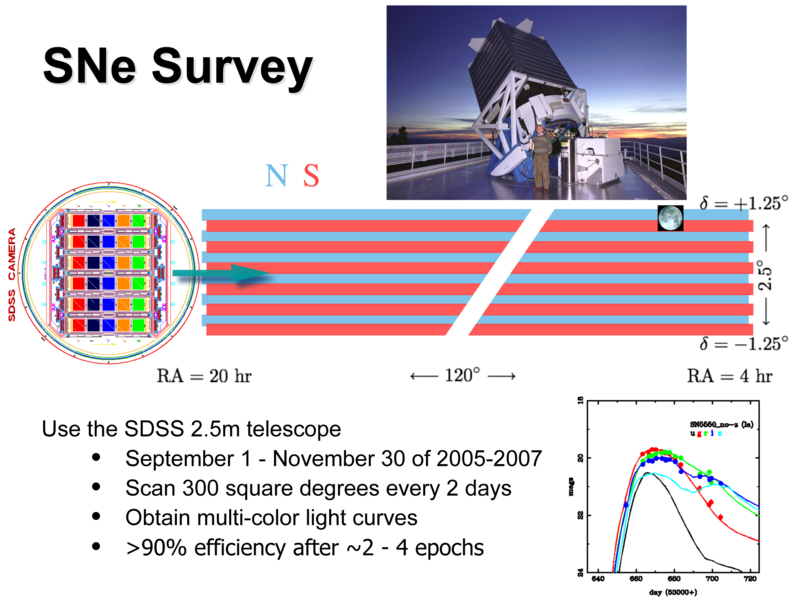 2008, "The Sloan Digital Sky Survey-II Supernova Survey: Search Algorithm and Follow-Up Observations," AJ 135, 348-373. Zheng, C. et al. 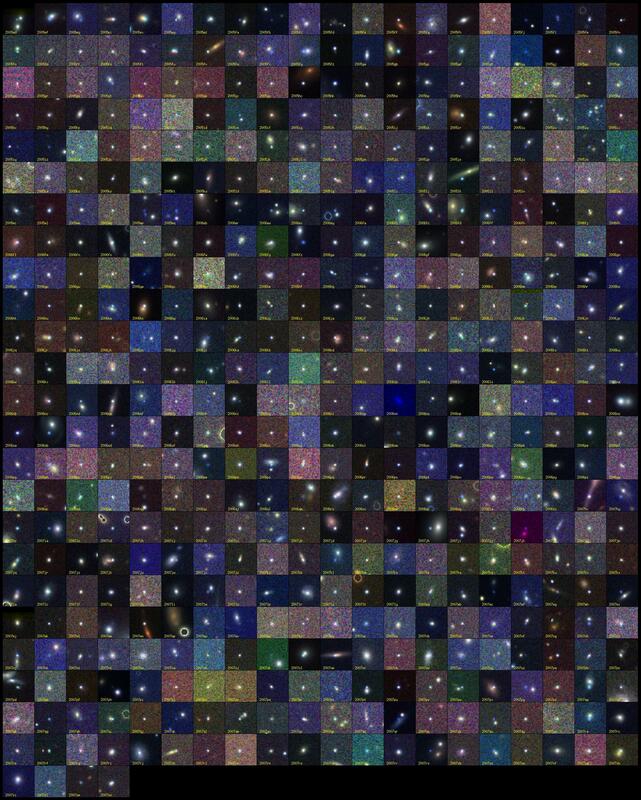 2008, " First-Year Spectroscopy for the SDSS-II Supernova Survey," AJ 135, 1766. Anderson, S.F et al. 2008, " Two More Candidate AM Canum Venaticorum (AM CVn) Binaries from the Sloan Digital Sky Survey," AJ 135, 2108-2113. Holtzman, J. et al. 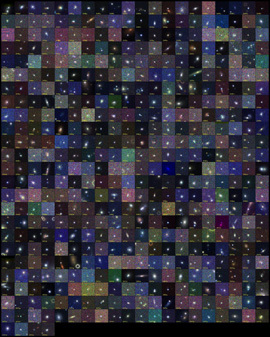 2008, "The SDSS-II: Photomety and SN~Ia Light Curves from the 2005 Data," AJ 136, 2306. Dilday, B. et. al. 2008, "A Measurement of the Rate of Type-Ia Supernovae at Redshift z = 0.1 from the First Season of the SDSS-II Supernova Survey," ApJ 682, 262. Kaib, N. et al. 2009, " 2006 SQ372: A Likely Long-Period Comet from the Inner Oort Cloud," ApJ 695, 268-275. Freedman, W. et al. 2009, " The Carnegie Supernova Project: First Near-Infrared Hubble Diagram to z ~ 0.7," ApJ 704, 1036. Kessler, R. et al. 2009, " First-year Sloan Digital Sky Survey-II (SDSS-II) Supernova Results: Hubble Diagram and Cosmological Parameters," ApJS 185, 32-84. Kessler, R. et al. 2009, " SNANA: A Public Software Package for Supernova Analysis," PASP 121, 1028-1035. Sollerman, J. et al. 2009, " First-Year Sloan Digital Sky Survey-II (SDSS-II) Supernova Results: Constraints on Nonstandard Cosmological Models," ApJ 703, 1374. Lampeitl, H. et al. 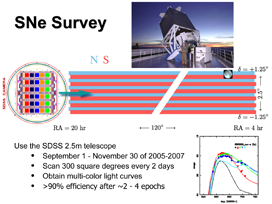 2010, " First-year Sloan Digital Sky Survey-II Supernova Results: Consistency and Constraints with other Intermediate-Redshift Data Sets," MNRAS 401, 2331. D'Andrea, C. et al. 2010, " Type II-P Supernovae from the SDSS-II Supernova Survey and the Standardized Candle Method," ApJ 708, 661.